People are the most precious resource of any country. An underserved and marginalized community that is often sick or uneducated hardly contributes to the national strength of a country. 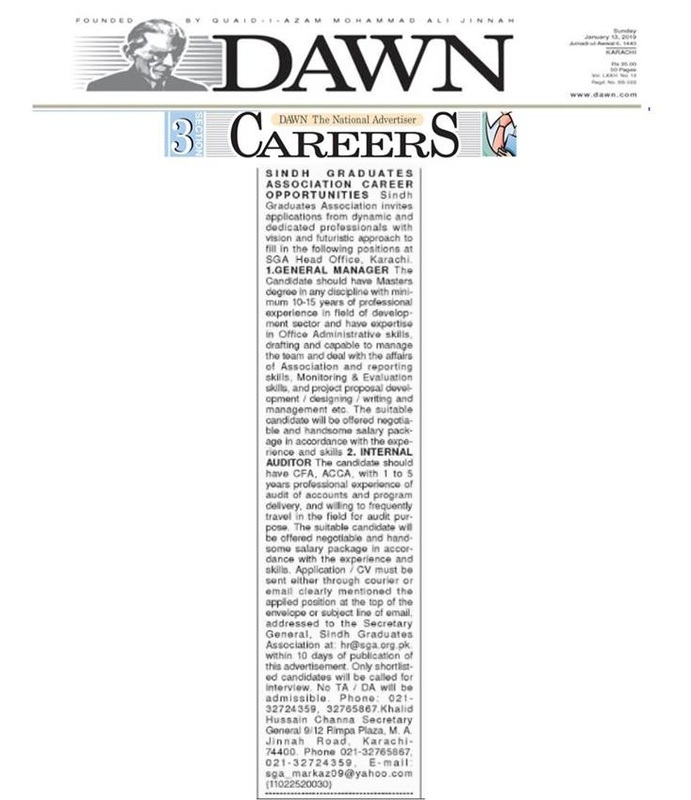 Sindh Graduates Association has been working since last 42 years and taking welfare measures for Provision of Healthcare, Education, Good nutrition and safe drinking water, emergency relief and recovery, financial services, and community development Projects for poor and needy people for the cause of humanity. Keeping in view the importance of poverty alleviation, SGA has made an agreement with Khushhali Bank in August 2002 at Larkana District. As per agreement made between Sindh Graduates Association (SGA) and Khushhali Bank Ltd, the service provider (SGA) will organize the household and help them to form community organization/groups in rural localities while KBL will deliver financial services to members organized under community organizations/groups. With the passage of time, SGA has extended its operational areas up to nine other districts i.e. District Nawabshah in 2005, Ghotki 2007, Shikarpur and Mirpurkhas in 2008, Naushahro Feroze and Dadu in 2012 and Tando Allahyar, Tando Mohammad Khan and Khairpur Mir’s in 2013. Presently SGA is running 10 centers viz; Badeh, Ratodero, Shikarpur, Dharki, Mirpur Khas, Naushahro Feroze, Dadu, Tando Allahayar, Tando Mohammad Khan and Khairpur Mir’s. To organize the rural community and to help them save a proportion of their income for individual and collective requirements. To focus development as well as socio-economic issues affecting the communities. To strengthening the solidarity and cohesiveness of poor and mobilize them into COs through a participatory process. To enhancing capacity of COs/CGs members (Men and Women) by enabling them to identify, select, implement and manage their income generating and income smoothening activities. To reach as many communities as possible in order to determine magnitude of poverty, socio-economic status, demography, civic amenities, infrastructure and potential for future development. To conduct regular meetings of first cycle Community Groups (CGs) to keep them active. 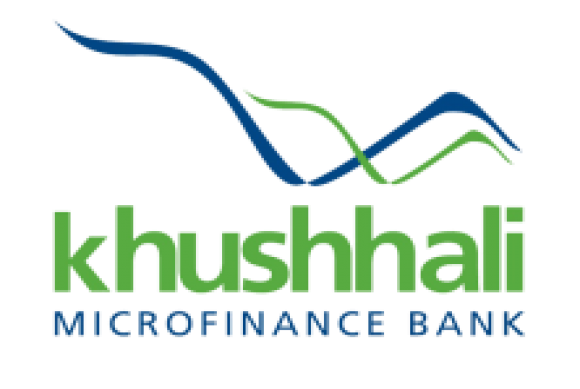 To facilitate Khushhali Bank Ltd to manage and recover the disbursed financial services from Community. In our project SOs (Social Organizers/Mobilizers) are like pillars and bridges, without their utmost struggle we cannot get any success. They are the persons who perform their duties with all requirements, information, and knowledge to mobilize the targeted community if they are well equipped, well informed, and has mobilization expertise and commitment with their work definitely then success is necessary. But if they are less mobilized and have not proper knowledge and education or not aware about polices and procedure of KBL, definitely our all targets will remain unachieved and unsuccessful. SGA hires qualified, experienced and dedicated staff for social mobilization to achieve the targets. SGA social mobilization teams are available in the field for generation of sales for Khushhali Bank Ltd. Social Mobilization teams go in the field and mobilize the community in accordance with the policy and procedures of Khushhali Bank Ltd for providing financial services by Khushhali Bank. This project is centrally monitored and coordinated through SGA Head Office, Karachi and we have appointed In-charges at all the project offices for reporting and coordination with SGA Head Office. Mr. Misri Chaniho, Manager Resource Mobilization is a focal person to centrally overall deal, monitor and coordinate with all the SGA-KBL Social Mobilization project offices, Khushhali Bank Ltd representatives and KBL Corporate office for close liaison, policy matters, performance review meetings and reporting of the project etc. The Manager Resource Mobilization regularly visits all the SGA-KBL Social Mobilization project offices on quarterly basis and arranges/conducts meetings with SGA and Khushhali Bank representatives at Branches level and then with Area Managers respectively to discuss and evaluate the progress and performance versus achievements of the SGA project offices. The Association has been running this social mobilization project in collaboration with Khushhali Bank Ltd since 2002 and since inception, SGA has got satisfactory achievements to alleviate poverty. The Association has been running ten SGA-KBL Project offices in different location of Sindh. The SGA targets for ten offices are 5910 clients for the year 2014. The Association regularly conducts training programs regarding social mobilization and capacity building events for SGA Social Mobilization project. The Association has planned to conduct training of SGA-KBL Project staff to enhance their social mobilization skills and enhance their capacity regarding working relationship with KBL in the field. At present, 35 staff members are working in this project. SGA is successfully implementing this project. It is pertinent to mention here that this is one of the successful projects of Sindh Graduates Association. The Association has dedicated team at field and head office level to achieve the set targets of 2014 for alleviation of poverty in the rural areas of Sindh for the noble cause of humanity.